Note: Colors shown are not exact representations. 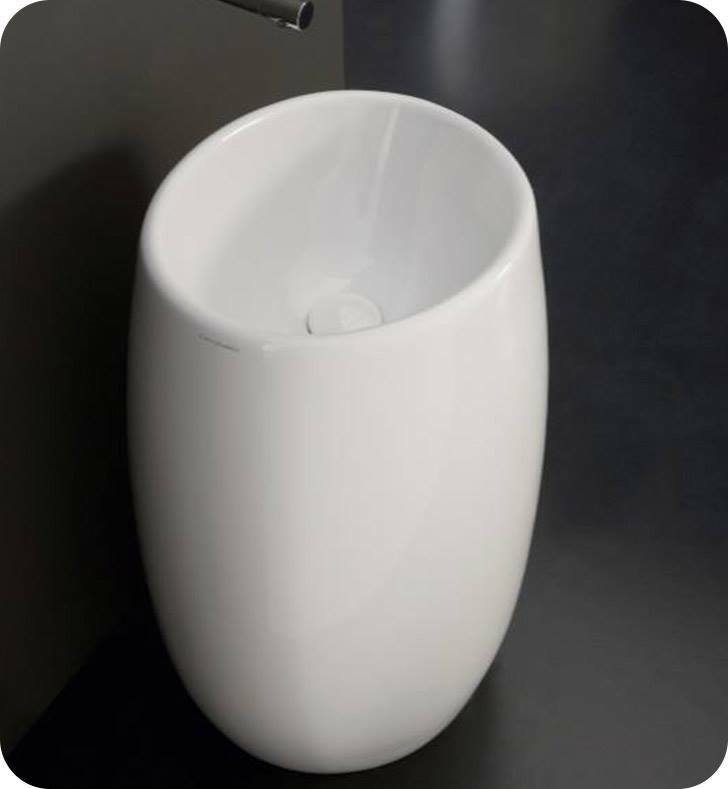 A quality floor ceramic bathroom sink made in very high quality ceramic and coated with white. This no hole bathroom sink from the Scarabeo Moai collection is a contemporary-style bathroom sink/washbasin. Imported from Italy. Is perfect for your luxurious personal bathroom.